What's Your Holy Grail Drugstore Eyeshadow Palette? What’s Your Holy Grail Drugstore Eyeshadow Palette? 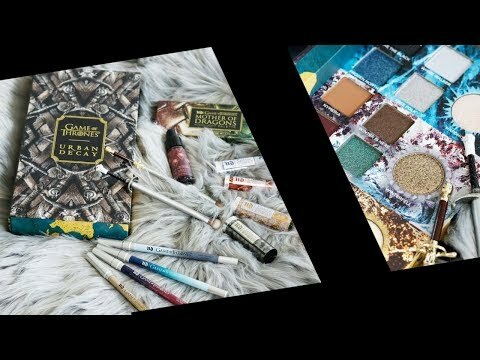 This week the Lipstick League is asking What’s Your Holy Grail Drugstore Eyeshadow Palette? fanserviced-b – I tried Glossier’s newish Wowder Duo and was impressed by the packaging, but wish it didn’t give my skin a red cast or cystic acne spots. Gouldylox – With so many new launches on the horizon, do you really need the new #IWantKandee collection from Too Faced? My Beauty Bunny – says if you’re going to buy toothpaste (and hopefully you do…), why not buy cruelty free toothpaste that WHITENS? Phyrra – I share my favorite Daytime Makeup Tutorial. It makes blue and green eyes pop! Prime Beauty – The newest innovation in skincare is probiotics, but do they actually work? LaFlore Skincare is a brand new skincare brand that harnesses the power of probiotics in their simple 3-Step Skincare System; read about my results! Beauty Junkies Unite – We all love instant gratification, especially when it comes to beauty products! That’s why Amber spent over a month testing facial masks to find six that deliver immediate results, for every skin concern. Check them out here. Blushing Noir – Brooke tried out some products from Fenty Beauty by Rihanna and is here to let you know which products worked the best on her SUPER OILY skin and which ones were a total fail. Question – What’s Your Holy Grail Drugstore Eyeshadow Palette? Answer – Wow, this is tough! I think I’d have to say the Flower Beauty Cool Natural palette. It’s the best quality drugstore eyeshadow palette that I’ve found to date. Generally I haven’t bought a DS eyeshadow palette for several years, because generally they are pretty poor quality here in Aus. However, Natio – one of my favourite inexpensive cruelty free brands – put out a series of eyeshadow palettes and I purchased “Golden” – 20 warm and cool toned neutrals (no reds, pinks, oranges etc) and it has been pretty jolly good for under $20.